At Basin Water Solutions, we proudly offer clients a full range of water filtration and purification solutions. Furthermore, each of our services is completely custom for each individual’s water needs. As a locally owned and operated family business, we have served many satisfied clients for more than 18 years. 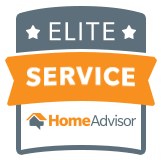 We pride ourselves on our reliable and superior customer service and have a five-star rating on HomeAdvisor, which we intend to keep. For us, it is about more than just the transaction. It is about providing quality water to every family. We offer services such as installation, repair, and maintenance, as well as products, systems, and components at extremely competitive prices. Most importantly, our team of professionals brings with them the experience and expertise necessary to provide a fully comprehensive picture of what goes into a water filtration system and what solutions are right for you. For quality water in Odessa, Denton, San Marcos, and the surrounding areas, get in touch with Basin Water Solutions now. Our friendly staff will gladly answer all your questions and provide you with a free estimate.